It’s that time of the year again. Apple’s WWDC kicked off this past weekend and while some critics have regarded it as ‘underwhelming’, there are still a lot of features that customers should be excited about. A wide variety of topics were covered at the event, but we’ve broken down several of the announcements that stood out. The Facetime application is getting a major boost with the ability to video chat with up to 32 friends now! iPhone users will be able to start facetimes within a text group chat to expedite the process. 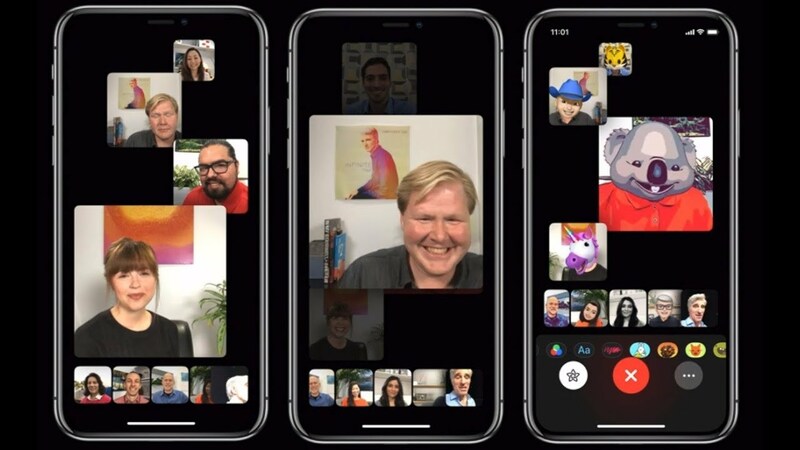 Similar to snapchat’s features, users will be able to apply filters or animojis to themselves during a Facetime call. It may make conference calls a little more dysfunctional, but they’ll certainly be fun. It’s not often that a company would add a feature allowing users to limit the amount of time spent on their products, but Apple is keeping their customers’ interest and health in mind with Screen Time. Apple is acknowledging some of the side effects of smartphone addiction and providing a platform that will not only allow users to monitor themselves, but their kids as well. Essentially, users will have the ability to put a time restriction on certain apps, and once they’ve hit the limit they’ll be locked out. Even though you can go into your settings to change it, there’s nothing wrong with a few speed bumps to help curb the growing smartphone addiction people are experiencing. In typical Apple fashion, the tech giant is staying on the forefront of technology by implementing augmented reality into their OS. We saw how apps like Pokemon Go were able to steal the hearts of smartphone users, and Apple believes that experience can be extended into a variety of applications. The ARKit 2.0, once released, will be able to support up to four simultaneous players to experience 3D games as well as utilities using their smartphone. 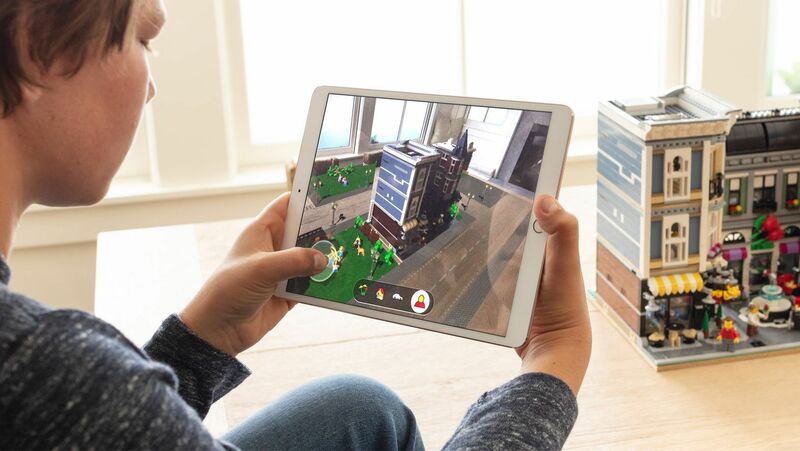 For games, companies like Lego have consulted with Apple to build software that allows users to make their lego creations come to life – which should be a big hit with the kids. For utilities, they’ve developed an application called Measure which provides the dimensions of a physical object with the swipe of a finger. 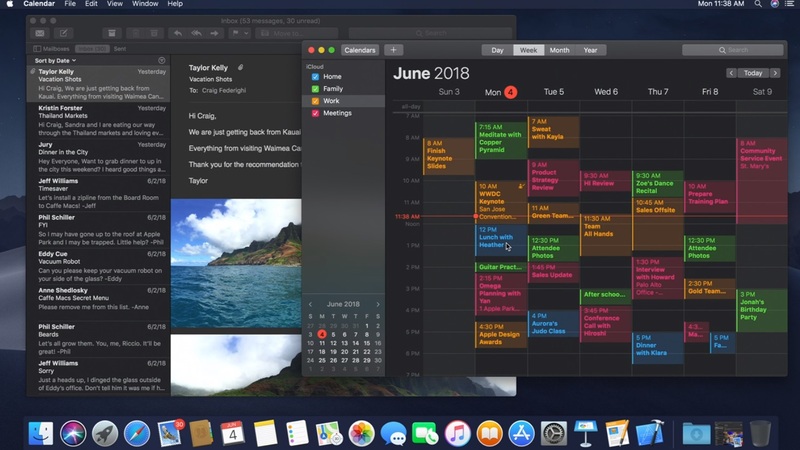 A pair of features that developers will benefit from on the rollout of the new macOS, Mojave, are Stacks and Dark Mode. Dark mode will allow users to switch first party applications from a light hue to a dark hue, offering a view that is tremendously easier on the eyes. Perpetually messy desktop? Not an issue anymore with Stacks. The feature will automatically categorize items on your desktop into respective Stacks, offering a more organized scope of your files. In 2011, Apple introduced the now-famous voice assistant, Siri, in hopes to make iPhone users lives a little bit easier. Unfortunately, a lot of users have neglected the abilities of the assistant, but might find find her a little more useful with these new features. iOS 12 will roll out Shortcuts, which enables Siri to perform a variety of chain-reaction tasks with one command. For example, a command such as “Take me home” will automatically connect Siri with the Maps app in order to provide your route home. An additional Siri improvement, Habits, will also perform tasks such as ordering a coffee from the local starbucks upon entering proximity. The Apple Watch will also be experiencing some nifty new upgrades with features such as Walkie Talkie mode and automatic workout detection. 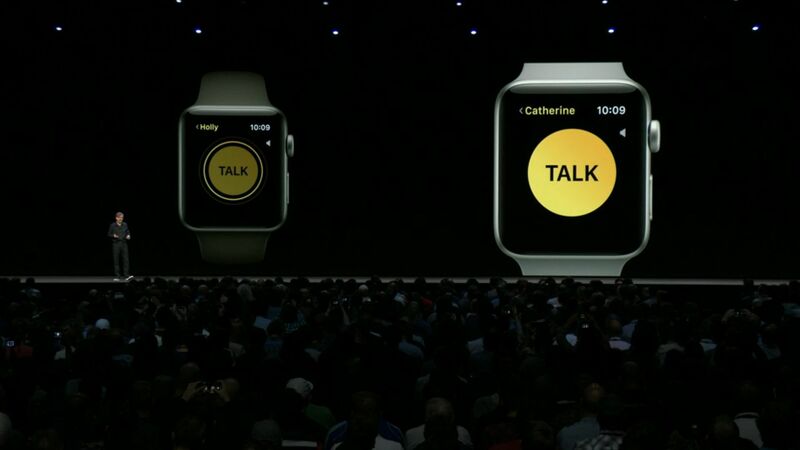 Users should enjoy the throwback feature in Walkie Talkie mode, allowing people to tap a button on your watch to enjoy back and forth conversations with other watch owners. This offers an alternative form of talk-communication for Wifi-only watch owners. A problem with the fitness aspect of the apple watch was that you had to log a workout type before starting. With the new update, your watch will automatically detect the type of workout – a feature that was previously a distinction between Fitbit and Apple watch.